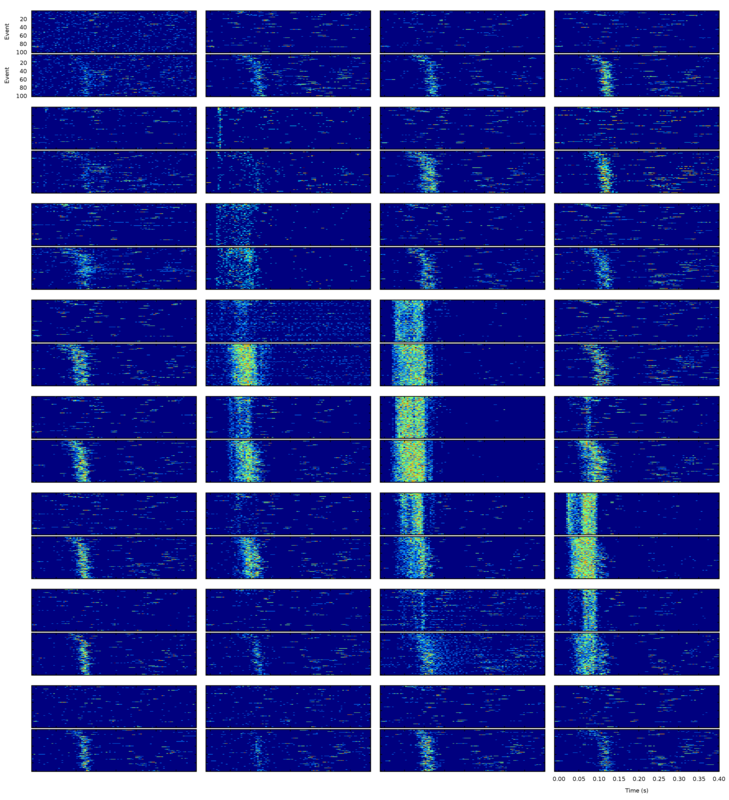 My current research interests revolve around neurophysiological mechanisms underlying cognition in birds, in particular fast electrical ones involved in auditory cognition and sleep. 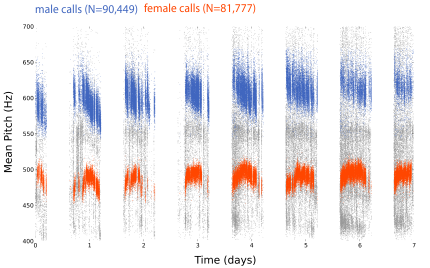 Figure 4: Scatterplot of delivery time against mean fundamental frequency of all vocalization elements (between 400-700 Hz) of two communicating zebra finches over the period of one week, as an example of the type of information that can be explored and analyzed with NoteLab. 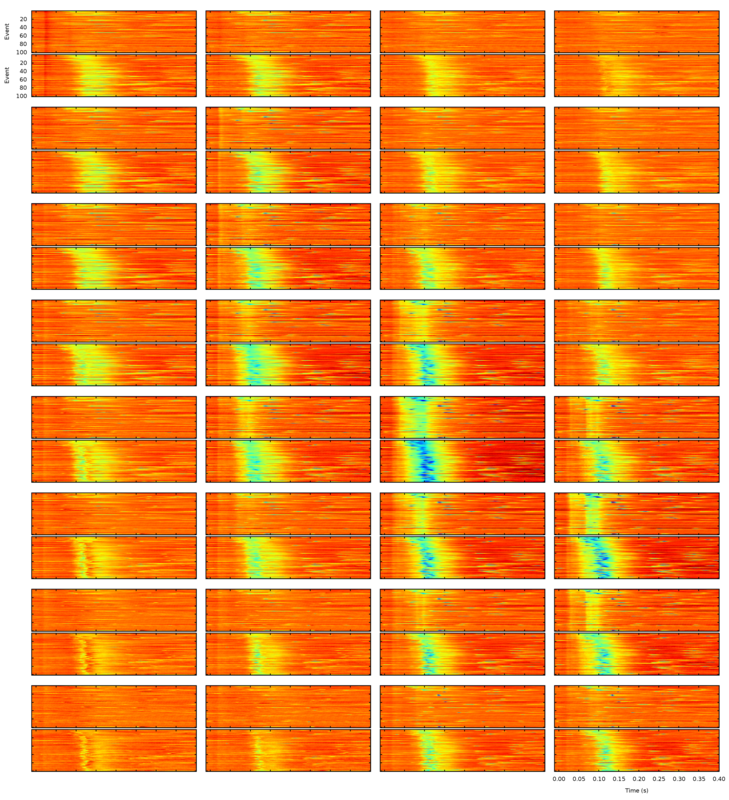 Social calls have been identified on the basis of multivariate techniques applied to acoustic features. The other sound elements (grey) are either song syllables, other call types, or non-vocal noise. 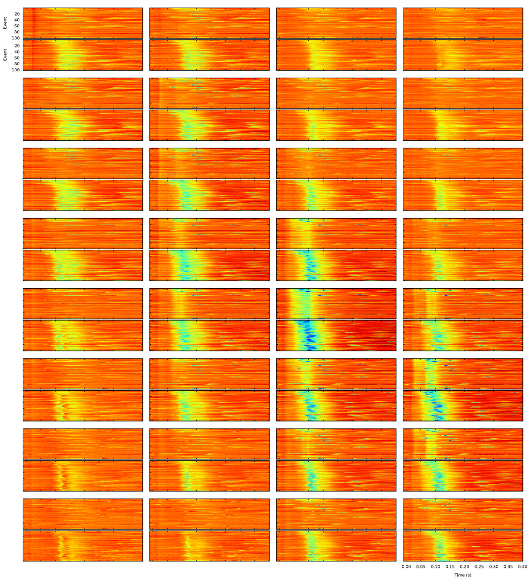 Figure 5: Zebra finch song motif visualized by a sparse time-frequency representation (see work of Gardner and Magnasco). Between the end of my MSc research and the beginning of my PhD work, I designed and carried out applied research projects for rain forest conservation, through Bioproca Foundation, an organization that my colleague biologist and friend Koen Verhoeven and I founded for this purpose. 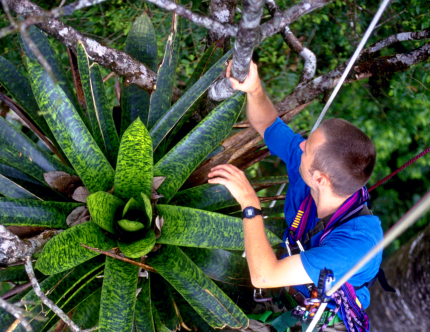 We focused on the ecology of canopy epiphytes such as orchids and bromeliads, and based our field work in Rara Avis, Costa Rica. Canopy orchids and bromiliads can have a high value as ornamental plants, but are often very difficult to cultivate artificially. Ultimately, our research was aimed at the cultivation of highly specialised species by using their natural habitat in part of the production process. Traditionally, the gathering of valuable non-wood rainforest products is considered as a valuable source of additional income to local communities. By focusing on local cultivation and production, rather than mere collection, the economic potential is enhanced considerably, which provides local communities living in or near rainforests with a new and realistic opportunity for sustainable socio-economic development, based on their biodiversity resources.